Denim, canvas and linen fabrics are ideal for making casual, washable slipcovers when you choose the right weight, hand-feel and coverage. The same holds true for cotton matelassé, hemp herringbone, polyester velvet and many other types of home decor fabric. 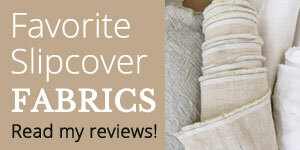 With so many different fabrics to consider, how do you choose the best one for YOUR slipcover project? Here is my 3-step process for narrowing down fabric options and picking a winner. 1. Choose a look & feel you love. Do you want your slipcover to look everyday casual like Pottery Barn? Relaxed crumpled like Shabby Chic? Contemporary sleek like Bemz Urban Living? Or, fancy upholstered-like such as Ethan Allen? How do you want the fabric to feel? Regular soft, brushed super soft, smooth & slick, plush, or textured? 2. Determine the right weight & durability. Make sure the fabric you love for it’s look and feel also holds up well to wash and wear. Tightly woven, stable and supple fabrics work best for washable slipcovers. Occasional use and wash, mostly decorative = light to medium weight fabric. Daily use, moderate traffic, occasional wash = medium to heavy weight fabric. Daily use, heavy traffic, kid & pet friendly, frequent wash = heavy weight fabric. 3. Do a wash test. Buy a yard of each fabric you like, do a wash & dry test and throw the samples over your furniture. You will instantly know which fabric is best for your project. Why? Because a laundered yard of fabric reveals a great deal about how it will look, feel, cover, wash and wear in a slipcover. Discover how the color looks in your space. See how much the fabric wrinkles and how much it shrinks. Check the coverage on your upholstery. Find out if the fabric pills, crocks, puckers or fades. 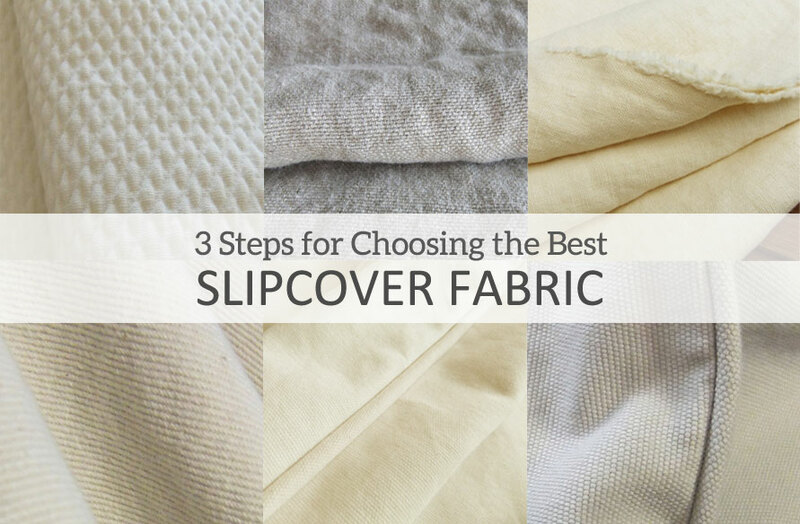 Even today, after many years of sourcing and working with textiles, I still use this 3-step process to figure out if a fabric is slipcover worthy. It works! This entry was posted in slipcover fabrics on April 3, 2016 by slipcovermaker.